Our animals are very important to us at Wackley Brook. 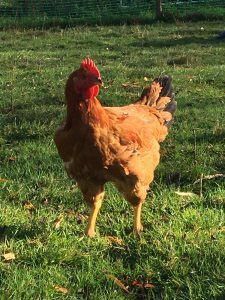 Without them, there would be no smallholding business, so we do everything we can to treat them with the care and respect they deserve. We like to view them as partners in what we do. Working with them every day, we inevitably form strong bonds with each and every one of them, and their individual personalities and quirks help to make Wackley Brook what it is. Here’s a quick introduction to the main characters. Our sheep are Lincoln Longwools, a breed that carries on the lineage of native stock that formed the backbone of the rural economy in the Middle Ages and even further back in history. ‘Old Lincolns’ were renowned for their heavy, lanolin-rich fleeces and sturdy, meaty frame, making them a perfect ‘dual purpose’ breed for providing both wool and mutton. As their name suggests, modern Lincolns have kept their distinctly shaggy appearance and remain an equally rich source of strong, high quality wool and tasty meat. 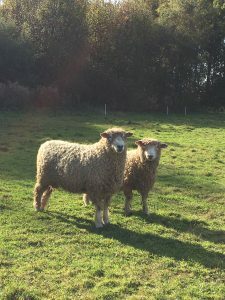 Sadly, pressure from newer breeds means the number of Lincoln Longwool flocks has been in steady decline, with perhaps under 1000 breeding ewes left in the country. We are trying to do our bit to keep stocks of this beautiful native sheep healthy by breeding our own. We name our ewes alphabetically, starting out with Alma, Agatha, Agnes, Amanda, Amelia and Alison, then Bronwyn, then our most recent ewe lambs, Chelsea, Chloe and Claudia. We currently have two rams, our original breeding ram, Tennyson, and Unwin, who was born on the farm. We keep chickens both for egg laying and for the table. Our layers are a mix of pretty white Light Sussex hens and Piggotts Brown, a breed known for its high and consistent egg production as well as the quality and weight of its eggs. Our layers are kept outdoors and are free-range, they have access to purpose-built sheds with ample space for perches and nest boxes and automatic pop-hole doors. 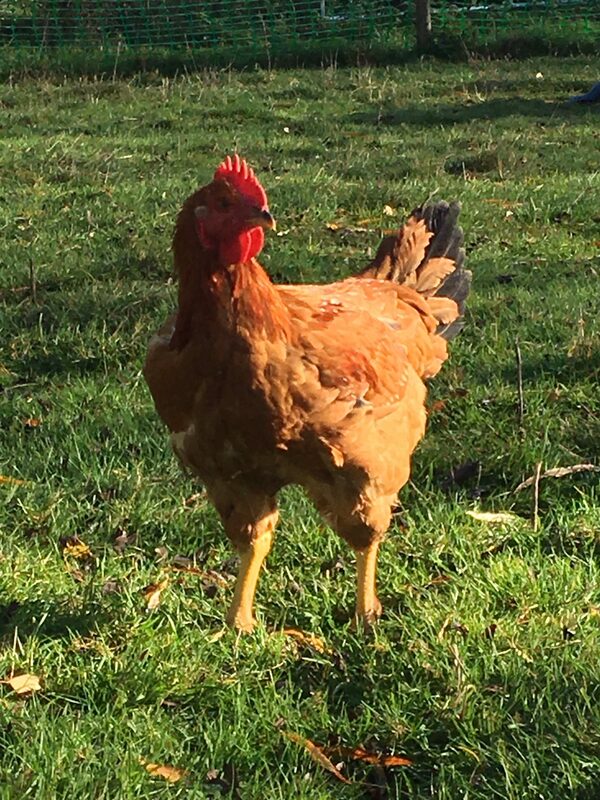 We currently have around 20 young laying hens which will start to produce eggs in the New Year and help to supply our growing demand for our delicious, organic free-range eggs..
We produce a range of table birds, Farm Ranger is a slow growing white feathered variety that can reach good weights and provides deliciously firm, succulent meat under outdoor conditions. We also raise specialist table birds that originate from French stock which are valued for their unique quality and flavour. Raised free range with the freedom to graze out on our paddocks, all our table birds have similar sheds to our laying birds with the same automatic pop-hole doors to protect them from predators. Finally, our beautiful alpacas – who we mainly keep as security guards for our chickens, as they are excellent at keeping predators at bay! 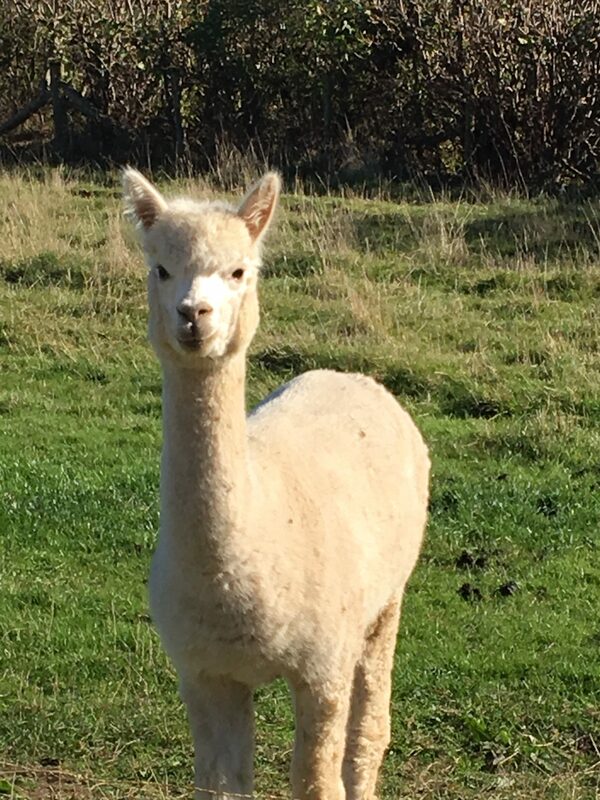 Our alpacas are the huacaya variety, the type best known for their super cute ‘teddy bear’ looks – a result of its fleece having a tight crimp which makes its hair stand out vertically from its skin. As you can see, they are very cuddly-looking indeed! Take a look at some of the fantastic fresh produce we have for sale.